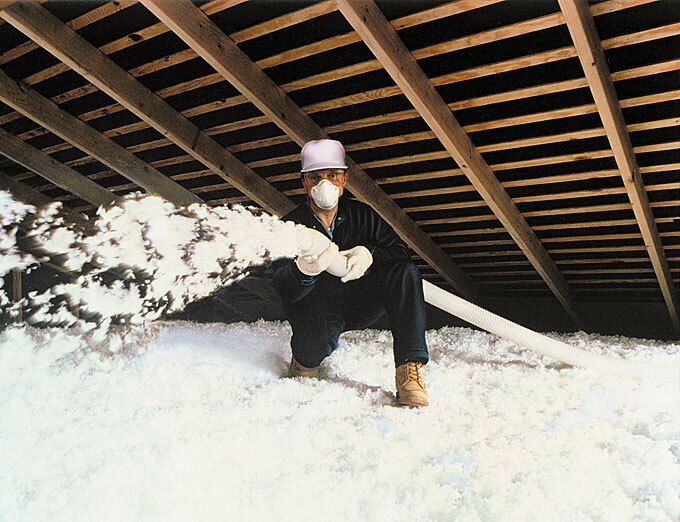 InsulSafe® 4, made by CertainTeed Corporation, is a formaldehyde-free, loose-fill, fiberglass insulation suitable for open-blow attic applications. The product contains recycled glass cullet and carries Greenguard™ certification for low emissions. We last took a broad look at insulation materials exactly ten years ago: in the January/February 1995 issue. A lot has happened since then—manufacturers have introduced new insulation materials, new product formulations have eliminated problem materials such as HCFCs, and improved understanding of performance and health risks has informed our building practices. But the fundamental issues have not changed over ten years. Insulation remains a critically important component of any green building—whether residential or commercial. No matter the type of insulation used, if it is used appropriately, its environmental benefits over a building’s life will almost certainly far outweigh any negatives—and dwarf any environmental differences among the alternative materials. This article provides a survey of insulation materials, beginning with an examination of what insulation is and how it works. Much of the article focuses on life-cycle considerations for different insulation materials: environmental and health issues associated with resource extraction, manufacture, use, and disposal.